OOooh Girls an exciting news update for all you pink lovers! Bdellium Tools are launching their fabulous brushes in Pink!! We've had the classic beautiful green, the fun and bright yellow and now the gorgeously girly pink is put into the mix! 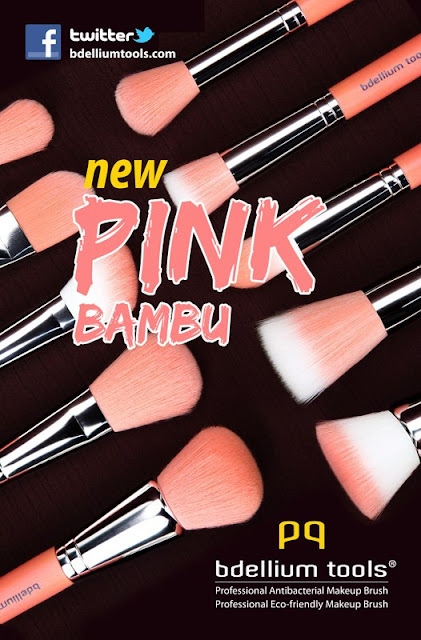 Still eco friendly and with the amazing quality and unbelievable softness these pink bambu brushes look and sound stunning! I'm a huge fan of bdellium brushes and even have been buying sets for presents for family and friends because they are so good. These pink versions give me an extra excuse to go and buy some more. As far as I know they are just launching in the US and are being displayed at IMATS in LA and so hopefully some time after that they should be winging their way to the UK! 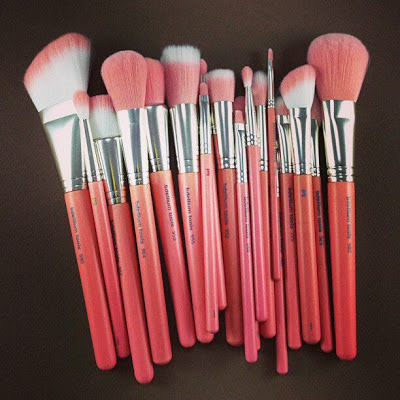 To get your hands on these beautiful new pink brushes when they are released check out the this link for the stockist page on the bdellium website. Just scroll down to see all the stockists by country, including for the UK. A definate stockist I know of it cutecosmetics.co.uk which is one of my favourite online sites for natural and organic products! Are you tempted by these new pink beauties?